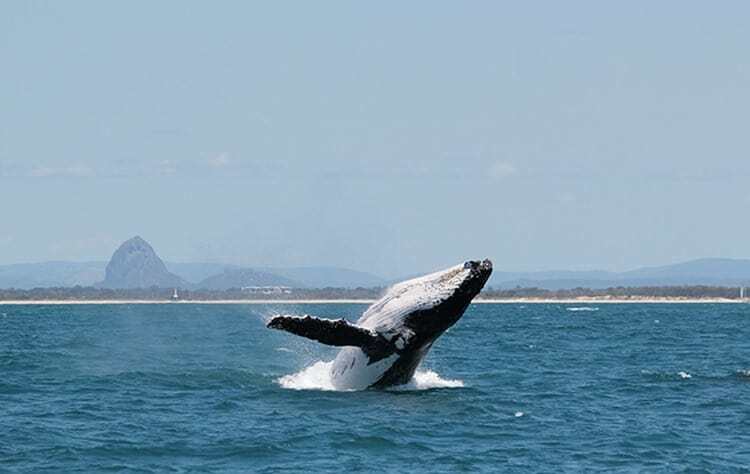 Swim with Humpback Whales with Sunreef Mooloolaba? Yes Please! Have you ever wanted to swim with Humpback Whales, the giants of the deep? If the answer is yes, than this is the post for you! To be able to get up close and personal and to swim with Humpback Whales was my dream ever since I came to Australia. I have been whale watching from a boat before, but this experience topped it all by far! It is quite a big difference to be able to step off the ledge, pop on your snorkel and take a leap into the deep ocean water to meet with these beautiful giants face to face. It is truly unforgettable! 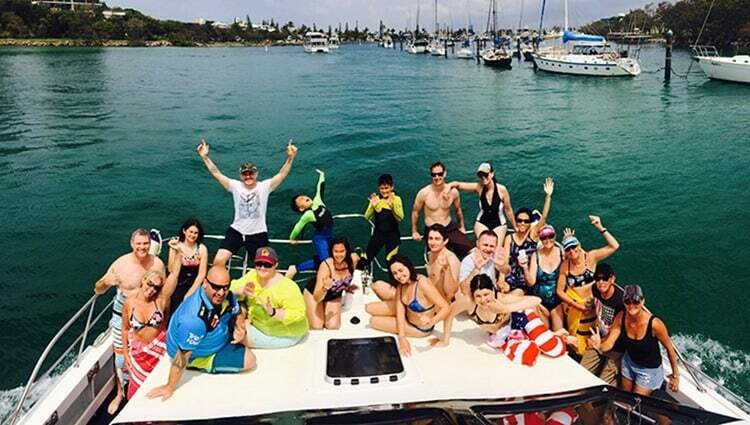 Today I will tell you of an amazing morning that we spent with the Sunreef Mooloolaba crew on our swimming with whales adventure! Are you ready? Let’s go! 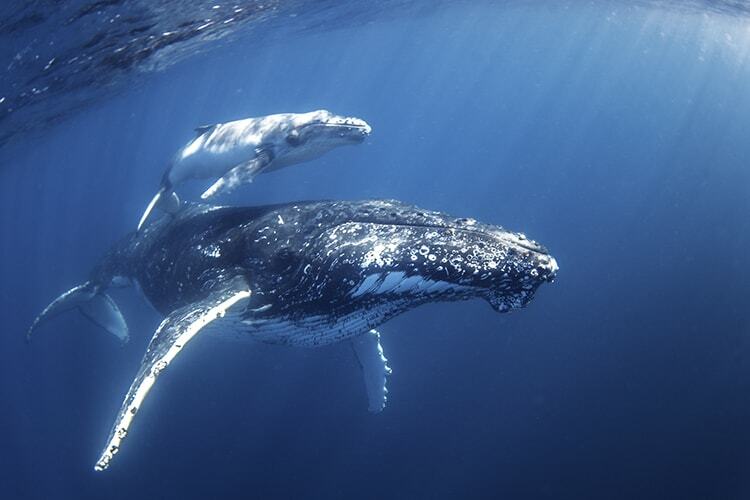 Swim with Humpback Whales Adventure with Sunreef Mooloolaba! Your adventure begins at the Sunreef Mooloolaba headquarters at the Mooloolaba Warf, Sunshine Coast in Queensland, Australia. 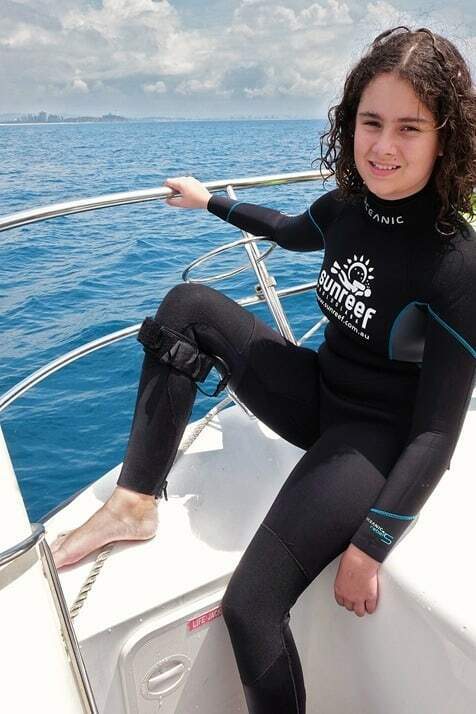 Here you will be greeted by a very friendly Sunreef team member, who will brief you about the trip and set you up with your snorkelling gear for the day. The season has finished for the year, however bookings for the upcoming season in 2018 are now open. Humpback Wales return to play in the Sunshine Coast waters between July 6 till October 22. The whole adventure takes approximately 4 hours and is usually available twice a day. We chose the 7:30am option, so we could avoid the midday sun. The best time to see the whales is in the winter months, as it is their migrating season. That way you have greater chances to spot the whales and take the unforgettable swim. Before you depart, you will be fitted with a full body swim suit, flippers, mask and a snorkel. This ensemble will keep you warm in the deep ocean water and allow you to snorkel with whales like a pro. On board you will be supplied with variety of refreshments, including water and selection of juices. Munchies are complimentary as well. These include a bucket load of chocolates, chips and plenty of other yummy snacks. We especially dived in for the famous Aussie Fredo Frogs! Yum! Tip: If you would like to grab some extraordinary footage of humpback whales swimming under water, you can also hire a GoPro camera from the Sunreef headquarters. This comes at an additional cost, but it is worth it! At the end of the trip, the memory card is yours to take home! 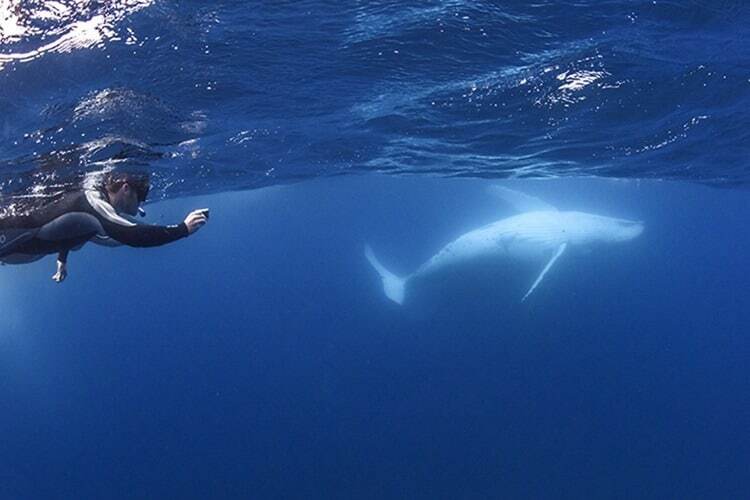 Swimming with whales is a one-of-a-kind experience and it is one that you will never forget! You have to remember though, that you are in their home and their home is big! It may take you a while to spot them playing around on the horizon, so patience is a virtue here. On our trip, we were lucky to spot the whales only 20 minutes into the trip. Spotting and following the whales is pretty exciting as well. Katie and I decided to sit on the front of the boat to get more of the ocean breeze and to be able to spot the whales with an almost 360 degree view. If you are prone to sea sickness, front of the boat is the best place to be as well. 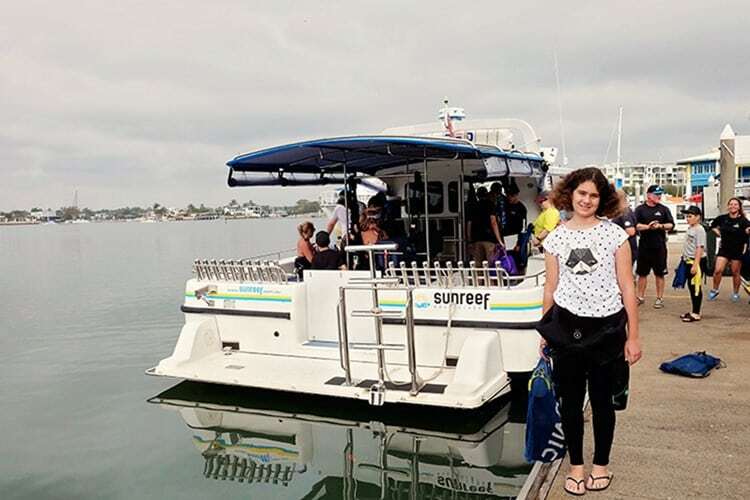 Sunreef Mooloolaba crew is always on the lookout for the perfect spot to position the boat, in order for you to get into the water quickly and safely. When we were there, Lillian was in charge of our group whilst we were in the water. Arthur, together with the skipper stayed on the deck to lookout for the whales and direct us for when to look down. 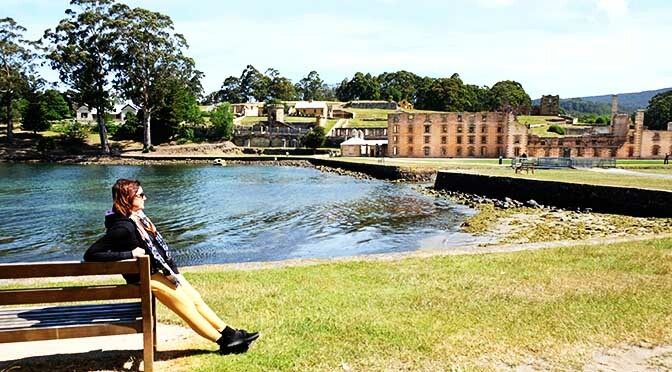 Everything was organized swiftly, professionally and with fun filled adventure in mind. As you swim around in the ocean, make sure to have your snorkel ready and look down! Whales are enormous creatures and super fast too! If you are not looking down, you risk a chance of missing the one-of-a-kind show all together. 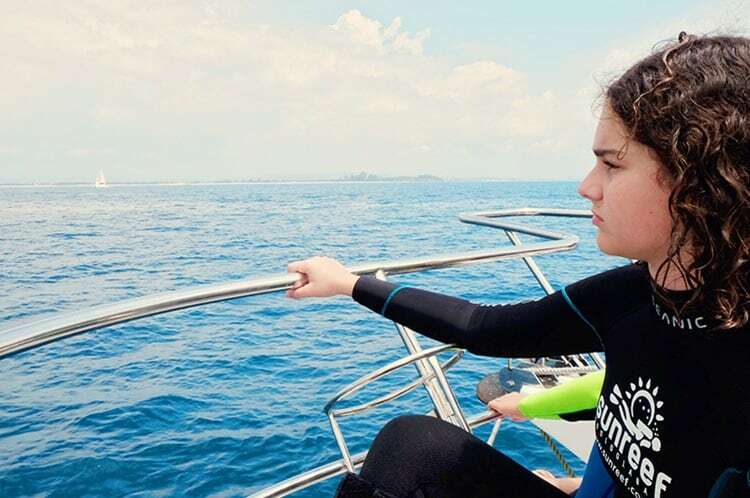 Weather permitted and depending on the whales position, the four hour adventure will allow for multiple snorkelling times. On our trip, we had 4 swimming sessions, however we only managed to see the whales up close once. And tell you what. Knowing that these spectacular animals swam right next to us, was absolutely awesome! Tip: The Swim with the Humpback Whales adventure is always dictated by what the whales feel like doing. It is their territory and sometimes it happens that they don’t feel like playing swim-with-whales game. Don’t worry though. Should you not be able to swim with these sea giants, you will get a 50% discount for the next trip and more chances for the swimming with whales fun. Whether you are a local to the Sunshine Coast or a tourist visiting the area, you cannot miss out on this amazing opportunity to see these beautiful 30 tonne ocean giants. 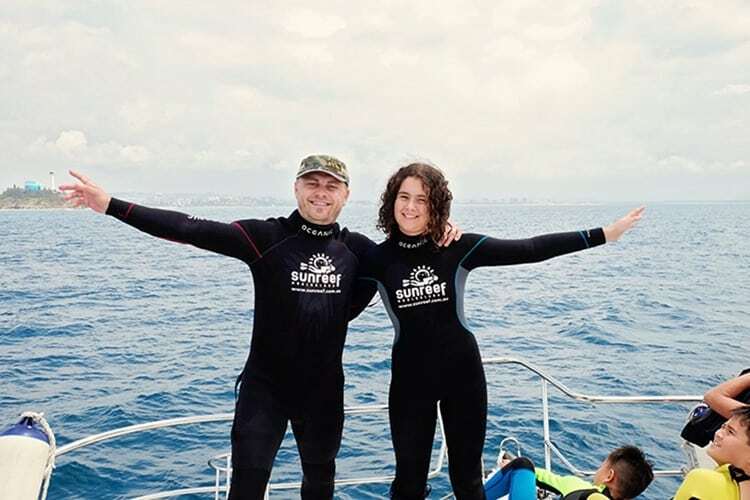 Book your experience to Swim with Whales and tell everyone about it! 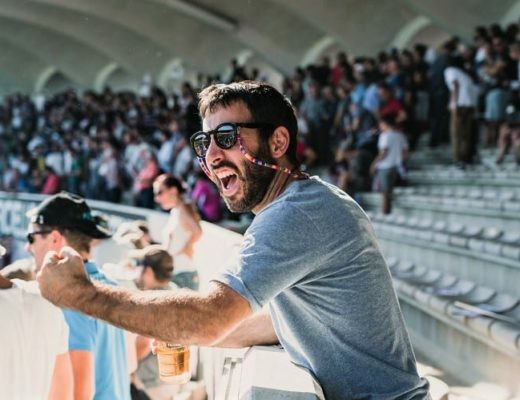 We loved it and I know that you will to! BOOK YOUR SWIM WITH HUMPBACK WHALES TODAY! * Disclaimer – Please note we were guests of the Sunreef Mooloolaba for the Swim with Whales adventure. 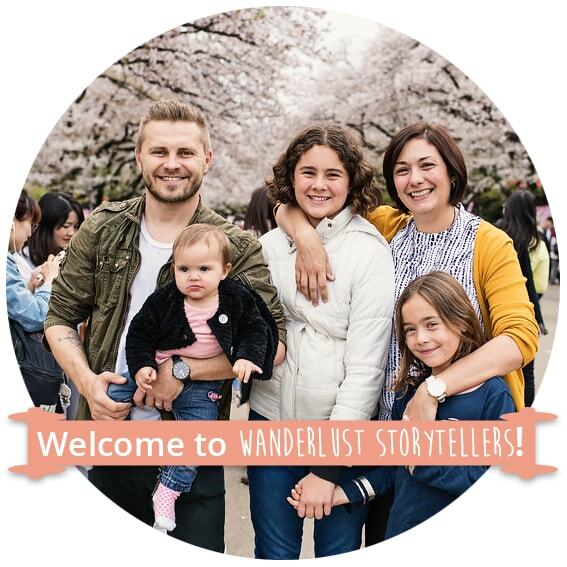 This review post contains our honest reflections from this amazing experience. 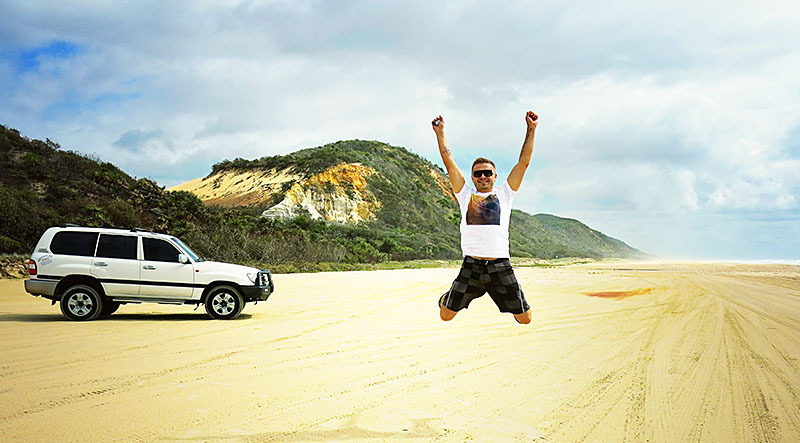 Fraser Island 4WD Hire Adventure on the Biggest Sand Island in the World!